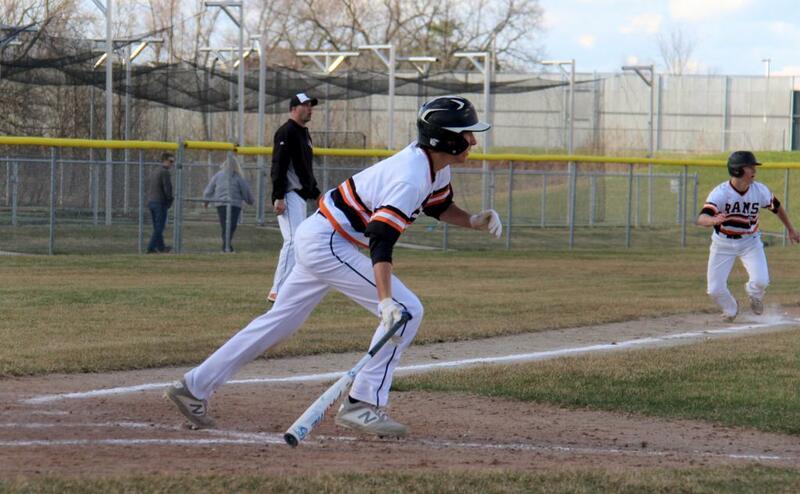 ROCKFORD – Ram sophomore Brendan Schueller stood in the batter’s box in the sixth inning with his baseball team in a 2-run tie with OK Red foe East Kentwood. 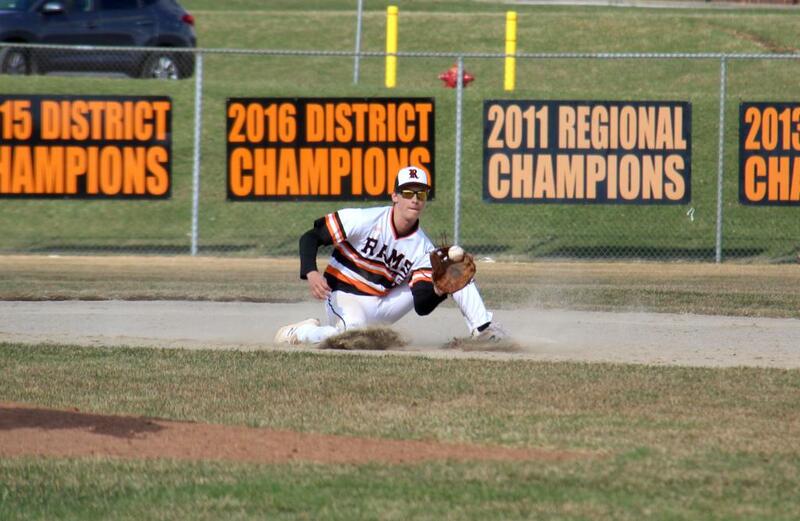 Two Rams had earned bases without hits in the beginning of the inning – Luke McLean was hit by a pitch, and Bayley Slater made it to first on an error. A Falcon balk had advanced McLean and Slater to second and third and it left first base open when Alex Miller walked up. The Falcons gave Miller a free ride to get to Schueller. He promptly proved that was a mistake when he ripped a ball to right field to score McLean and break the tie. That was just the start of Ram scoring in a fruitful bottom of the sixth inning. Owen Cairns added some excitement of his own when he stepped up to the plate right after Schueller and cleared the bases with a screamer to center field that gave the Rams a 6-2 lead. A minute later, he touched home on a wild pitch to move the score to 7-2. The Falcons did their best in the top of the seventh to make it a game but fell a run short with the Rams earning the 7-6 victory. The second game of the double header was at 6-1 with the Rams in the lead before it was postponed until Thursday, April 11, due to darkness. The 7-6 win moved the Rams’ record to 4-1 on the season. 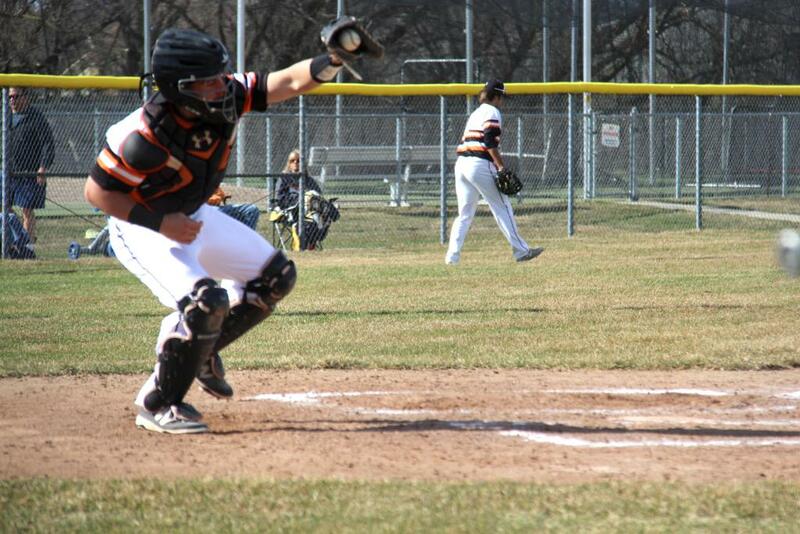 In the first game, the Falcons jumped out to an early 2-0 lead in the first inning. It took until the bottom of the fifth before the Rams could knot it up. Miller sent a long fly ball to center field and earned first and second on the error by the Falcon center fielder. 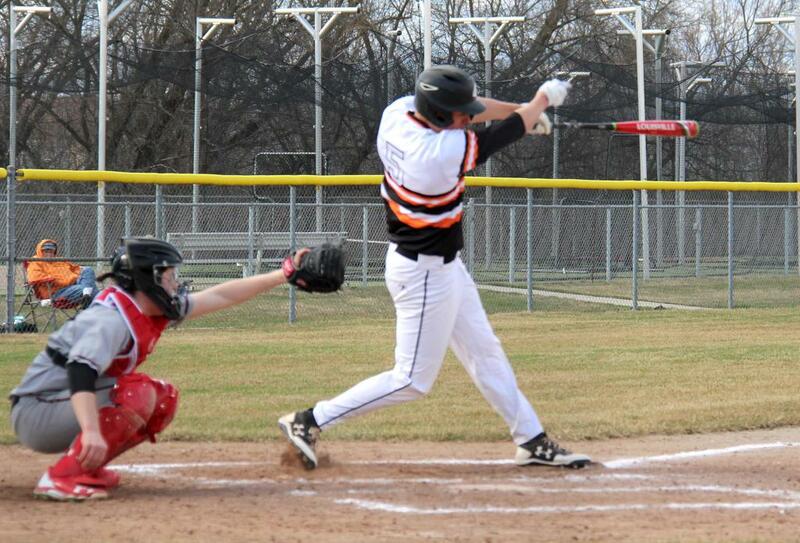 Schueller put down a sac bunt to move Miller to third. Cairns singled to right field plating Miller, and moving the score to 2-1, Falcons. A Cody Sterkenburg walk moved Cairns to second and put him in scoring position and Joe Kelley answered the call with a double to left field to plate Cairns and tie the score and set up the heroics in the bottom of the next inning. The Rams were 7-for-26 at the plate as a team. 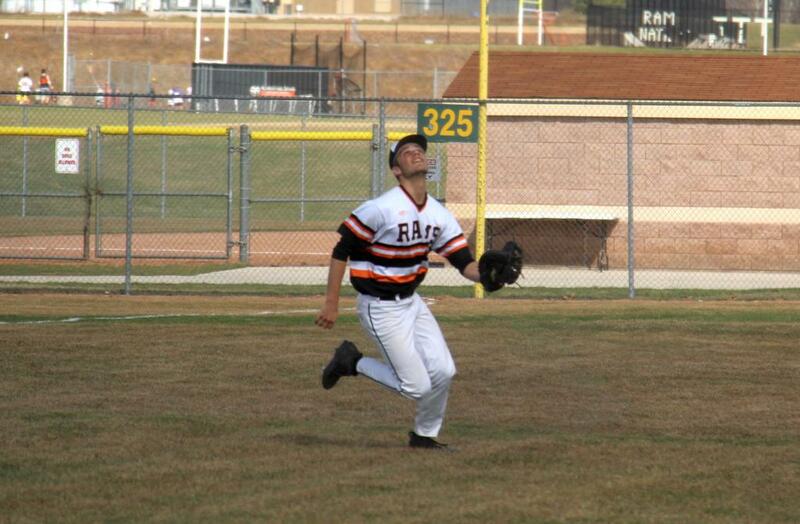 Cairns led the Rams, going 3-for-4 with a triple and tallying four RBI. Kelly went 2-for-3 with a double and an RBI. Miller and Schueller gathered a hit each, with Schueller registering an RBI. Zach Marshall started the game and had a good day on the mound going six full innings and giving up only two runs on five hits and two walks, while striking out 11. 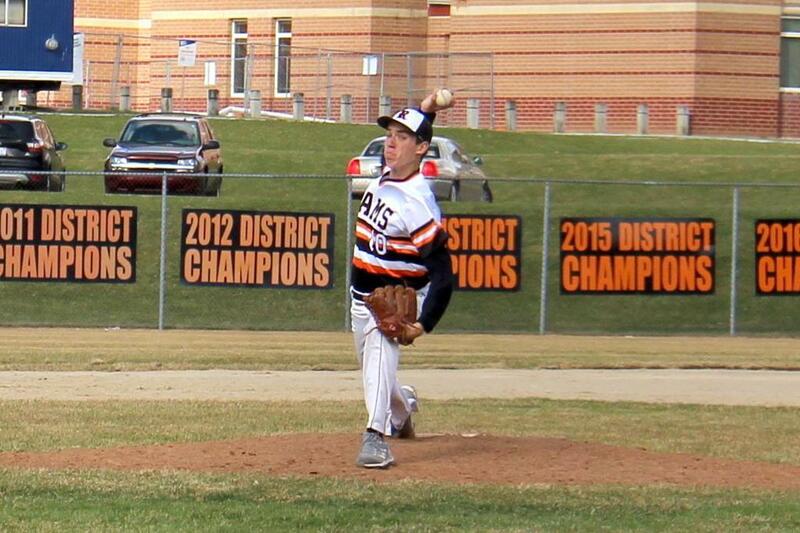 Joe Degarmo came on in relief giving up four runs on four hits, and Grant Martin gave up two hits. McLean came in to close the door on the Falcons earning the final three outs, giving up no hits, no walks, while striking out one. 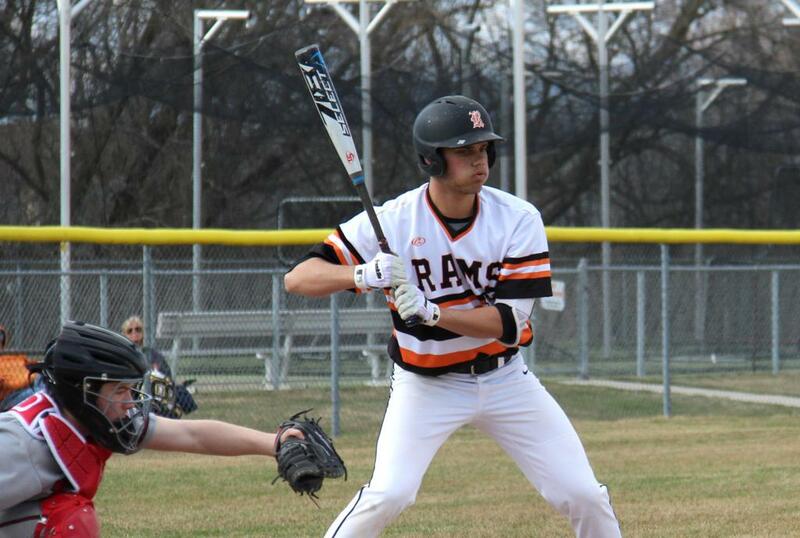 The Rams will return to the field, Thursday, April 11, at East Kentwood to close out the 6-1 second game they started on Tuesday, and then battle the Falcons with a clean slate in a game that will take place after.